Parker is turning four at the end of the month. He is beyond excited and requested only ONE thing. A birthday party, with friends, over at his house. Poor guy, he has only had a friend over one time since we have lived in this house, and it was over a year ago. Being the big brother to an immune compromised little sister can be tough. So we are going to be brave, wish us luck. 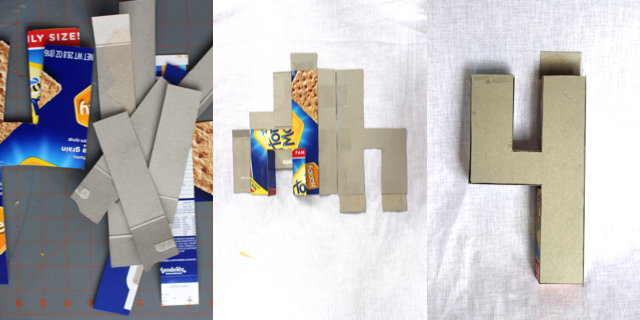 Materials: an empty food box (cereal, cracker, etc. 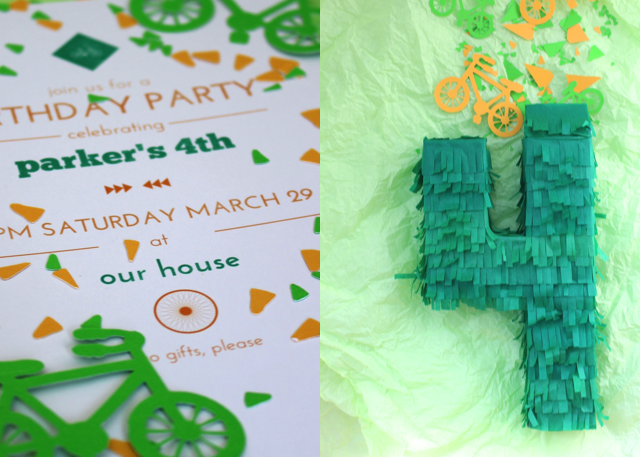 ), a cutting tool, cutting mat, ruler, tape, writing tool, glue, and tissue paper. Process: After deconstructing your box, use a ruler to measure and mark the number of your choice. If you don't feel confident in your abilities to do this, go ahead and print one out from your computer and then trace it onto the box. Using the scraps, cut one inch strips for all of the outside lines of each number (I used my ruler and just traced around it). Then begin taping the box pieces together from the inside out. If you lay everything flat, it is easier to see which pieces are missing, how they connect, and what might be a little tricky. Don't forget to leave one flap open at the top. Once the number is put together, it is time to decorate. First, cover the entire number with a base layer of tissue paper, glue it down. Then, lay out several sheets of tissue paper onto a cutting mat. 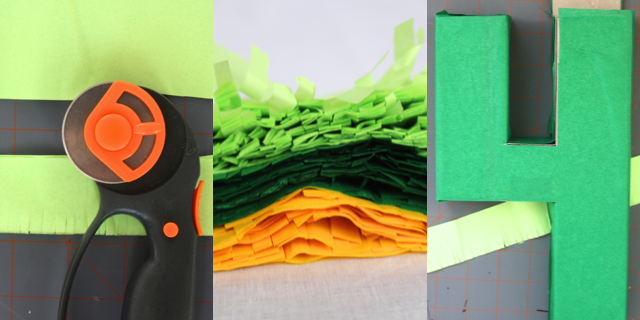 Use your ruler as a guide, begin cutting 1/2-inch slits into the tissue paper. 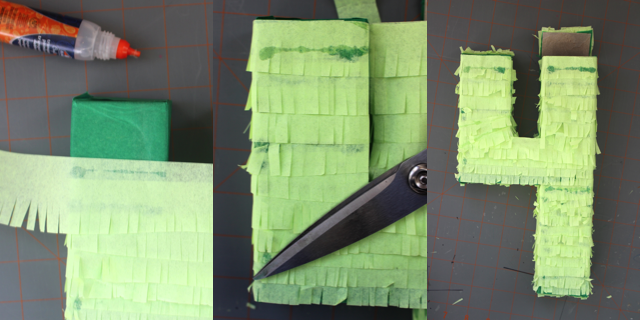 Pull your ruler over the cuts and cut on the outside edge, separating your tissue fringe from the larger sheet. 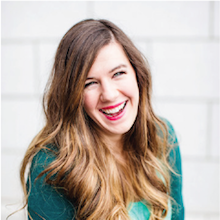 Now, you should have several small, one-inch strips with fringe on one side. Next, start at the bottom of the box and begin gluing the fringe. With each layer, overlap to where the cuts begin. Continue this process until you reach the top of the number. To cover the bottom and top, I cut one-inch squares out of the fringe and glued them down. 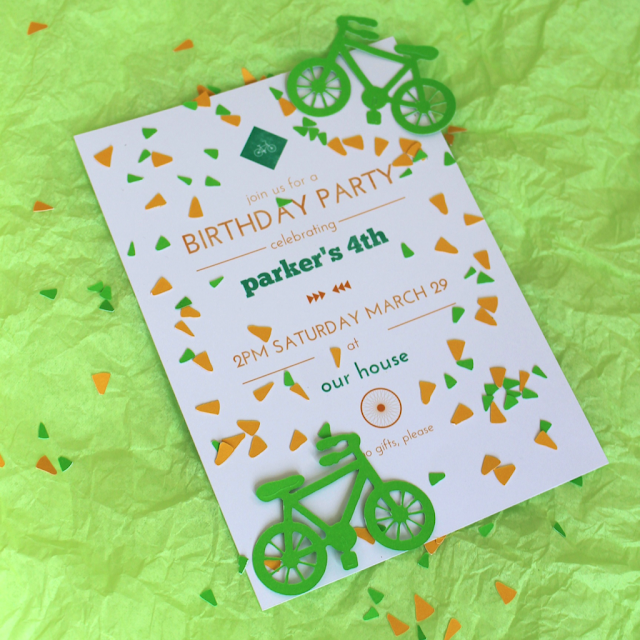 Finally, fill with a paper invitation, some goodies, secure the top flap with tape, and place in the mail. 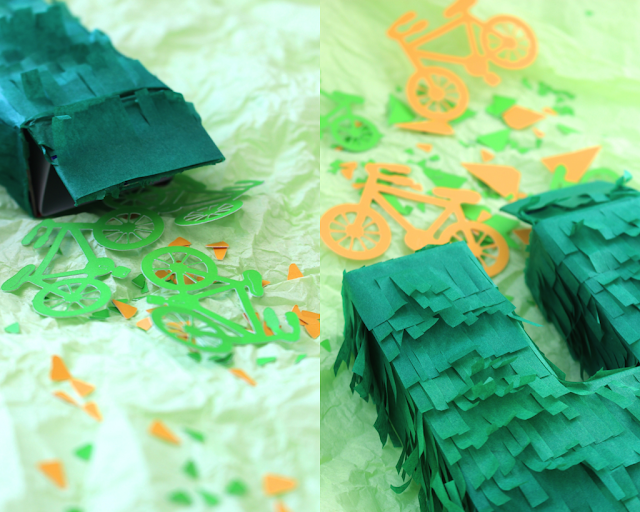 Yes, you can mail a piñata! Time: It took me 30-45 minutes per invite.